He has a heart the size of Texas and is so very tender, I supposes it’s the secret of his success… the horses seem to know that they are in good hands and if they don’t want to me ‘handled’ then they best be mindful of the task at hand! 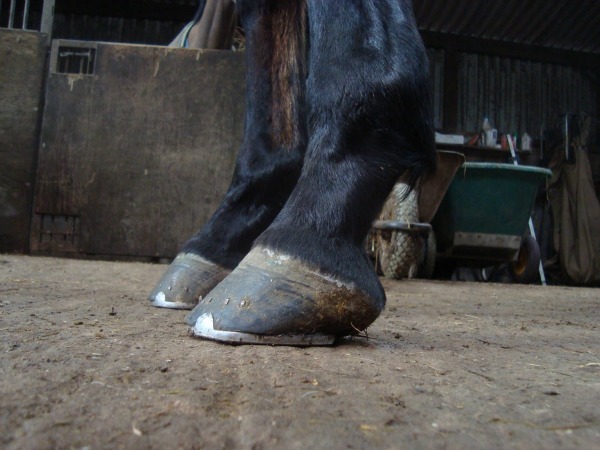 Getting shod. If you’ve never met a Black Smith, or watched one work, please watch this video- you’ll witness an artisan and a self styled animal trainer. I wish I would have captured some footage of him with his two Dachshunds. The contrast begged to be documented when you bring to mind that minutes before he’d been shoeing horses, huge animals by comparison. While we both worked, me at the camera, he at the forge, he told me story after story about his ventures with horses that were mean spirited..no one could handle them, so his expertise was called upon. He also told me about the abuse he’d seen perpetrated on horses because they weren’t shod or were left too long in shoes that they’d outgrown. He also told me what he’s like to do to those who someone left them to suffer….but it would be too smart to relay those comments here. 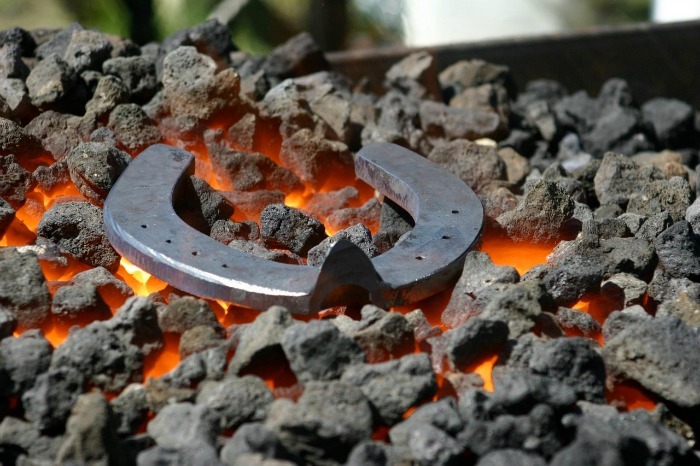 One of the stories he told me was about his triumphant win of an award at an event where he competed and took the award from Farriers who had shod the Queen of England’s horses. He was understandably proud of this achievement but I never found him boastful or arrogant. He was proud because, as I mentioned, he grew up the son of a Preacher, not the son of a craftsman, so he was self taught, while the Queen’s Farriers were not only trained, but came down thru generations of Farriers. It was wonderful for me to field some of the comments made by those who viewed this simple video. They commented on how much they had learned and almost no one who viewed the video had ever seen a horse being shod before. 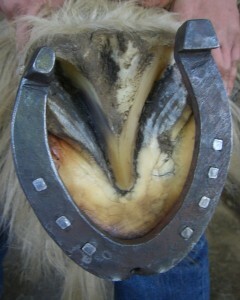 When you think of how important the horse has bee to us, having never seen a horse shod is remarkable in and of itself. It’s true that most of us believe that a dog is ‘Man’s Best Friend’, that being true, the horse built civilization. It’s place in history is monumental and in many places of the world, the horse remains an essential part of everyday living. Beautiful and majestic like poetry in motion yet hard working and diligent, the horse is a blessing to us all no matter where in the world we are. This entry was posted in Production Notes, Videos and tagged advertising video, promo video, video, video production seattle, video productions by Petrushka. Bookmark the permalink.